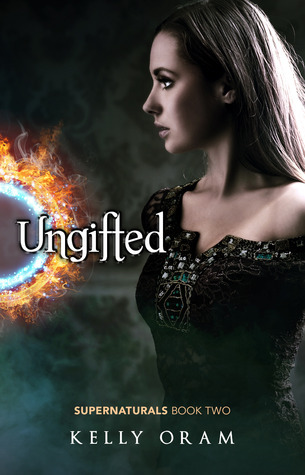 Good Choice Reading: Book Tour Highlight & Gift Card Giveaway: Ungifted by Kelly Oram! Book Tour Highlight & Gift Card Giveaway: Ungifted by Kelly Oram! Even though her father is running for President of the United States, Grace St. Claire is as normal a girl as they come. She’s clumsy, shy, and an outcast among her peers. She even manages to nearly die in a freak accident in front of the entire school. But when Grace survives a vampire attack she quickly learns that she is anything but ordinary. There’s something about human Grace that has all the supernaturals around her going crazy. Her best friend’s brother suddenly wants to date her. Her worst enemy has sworn to protect her even against her wishes. Someone with very powerful magic wants her dead, and the vampire that attacked her has developed an obsession with making her his eternal mate. In order to survive—and not as Count Dracula’s undead bride—Grace dives head first into the terrifying world of the supernatural. She teams up with a charming but mysterious warlock who strolled into town causing trouble and spouting stories of a Prophesy and Chosen One that looks exactly like Grace. Together they must figure out why Grace is different, who wants her dead, how she’s connected to the Chosen One, and who they can really trust. This book sounds like an awesome read! Thank you for bringing it to my attention. Ungifted sounds just like my kind of novel. I love paranormal genre, and YA mysteries especially.